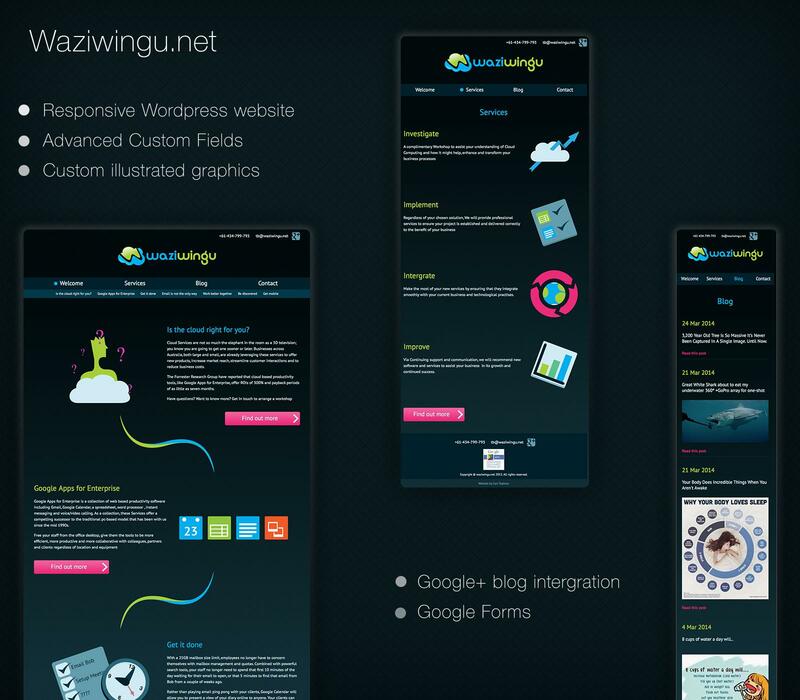 Designed with a responsive layout for mobile, tablet and destktop. 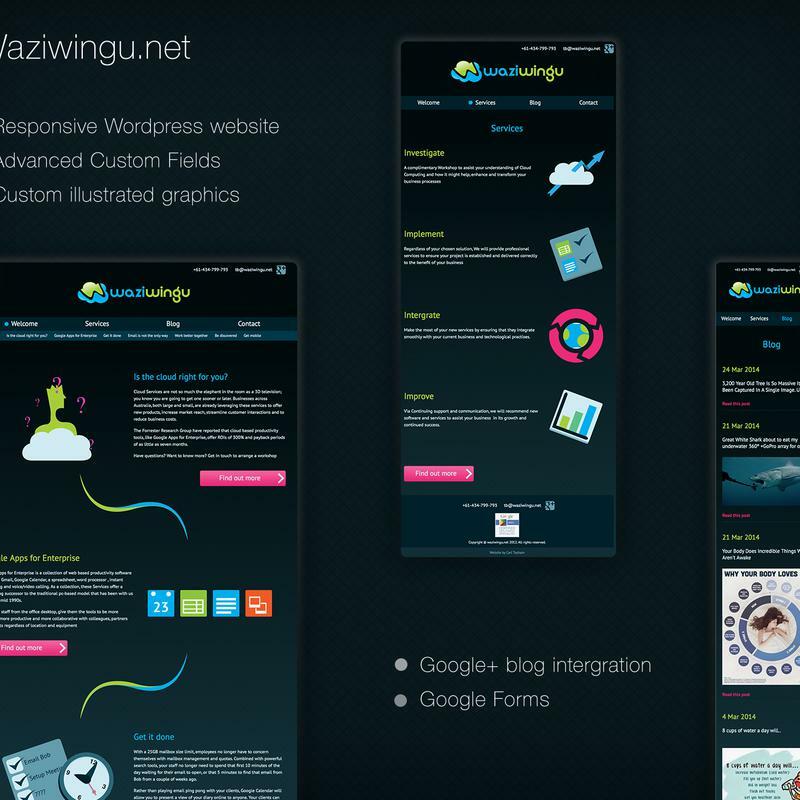 The backend is built using Wordpress with a completely custom theme. Blog posts are pulled in via Google+ and main layout uses WordPress Custom Fields to allow for maximum customisation. Contact form is an integrated Google Doc allowing any enquiries to be sent straight through to the clients internal systems for easy documentation and logging. The illustrations and icons throughout the website are custom designed and drawn.